Getintothis’ Paul Higham presents a round-up of some of the best new album releases in January 2016. At the end of the year when we’re devouring the glut of best album lists, how many time are you left thinking ‘How did I miss that release’ or ‘I didn’t know they had a new album out’. It happens to us all too often. Well with the dawn of a new year we’ve decided to run a monthly round-up of some of our favourite recently released albums. The emphasis here is to tend towards the less obvious, the one’s you might have missed or haven’t yet heard. You’ll see below, for example, that David Bowie‘s Blackstar is notable by its omission, yet much has been written about both the album and his shock passing that we have little to add here. In fact, we’re sure you’ve already nabbed a copy or at least heard it so its inclusion here would serve little purpose. Instead we’ve offered some timeless indie classicism from Sea Pinks, the sprightly summery cousins of Belfast’s Girls Names, alongside the return of experimental Chicagoans, Tortoise. There’s a nuanced third solo album from Fiery Furnaces‘ Eleanor Friedberger, infectious garage-pop from Madrid’s all-girl Hinds and dystopian industrial rock from Pop. 1280. 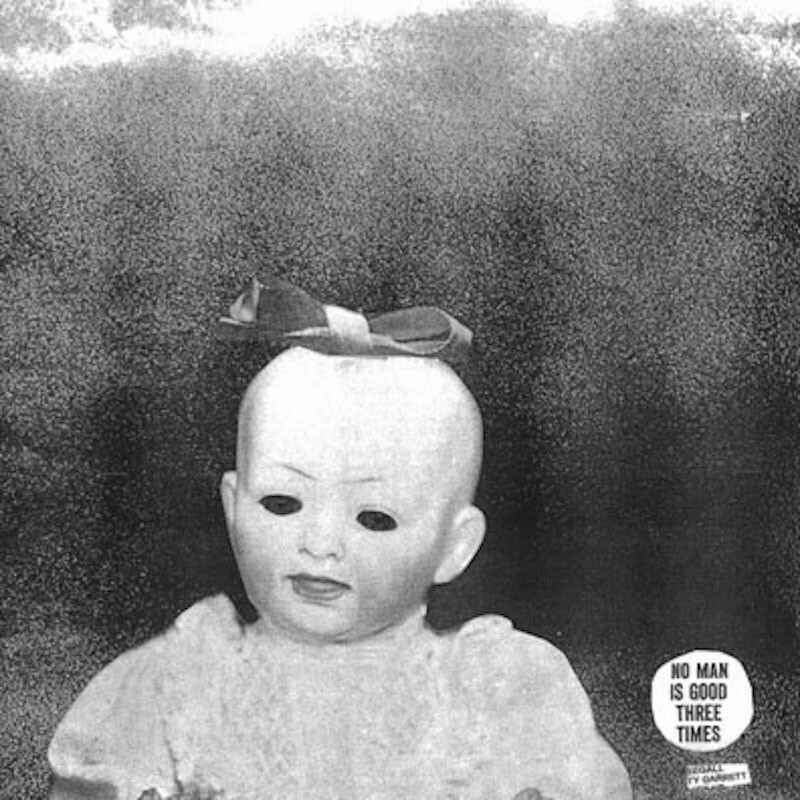 We couldn’t fail to include the latest offering from the prolific Ty Segall while Tindersticks have produced another excellent album of perfectly arranged baroque pop. Completing the list is the unlikely collaboration between James Yorkston, Jon Thorne and Suhail Yusuf Khan. 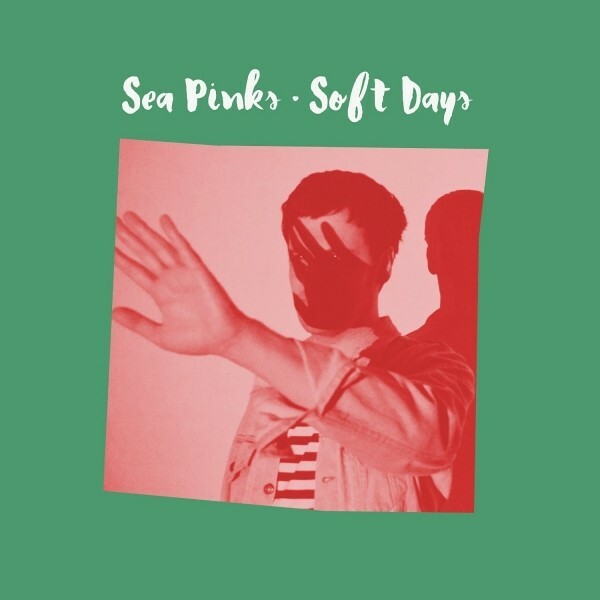 Formed and fronted by Neil Brogan, founding member and former drummer of Belfast’s Girls Names, Sea Pinks make something altogether brighter than the dark Joy Division inspired fare that characterises Brogan‘s former band. In Soft Days the band have made an album that is rooted in indie classicism, for while the songs may at face value appear up-beat and catchy there is an unmistakable air of melancholy that is never far from the surface. Harking back to the indie rock of the 1980s, it is obvious that Brogan has a clear idea of how he wants his band to sound and is able to pull that off. Indeed, while the guitar jangle recalls The Smiths, it is to the Antipodes that its influences are most strongly felt. Fans of The Triffids or the Dunedin sound will find much to love on this as the precision in the production and the mix really shines through. Make sure you check the sleeve, else you could easily be fooled into thinking this a Flying Nun release. A very welcome release to kick off the year with. What links Tindersticks to Justin Bieber and Beyoncé? On the face of it, very little. However the Nottingham group’s latest album borrows a concept used by those massive-selling pop artists. Each song has been made into a collaborative video by a different director which, it has to be said, adds very little to an appreciation of the album as a collective whole. Indeed, the album works so well in its own right that the concept just seems odd. 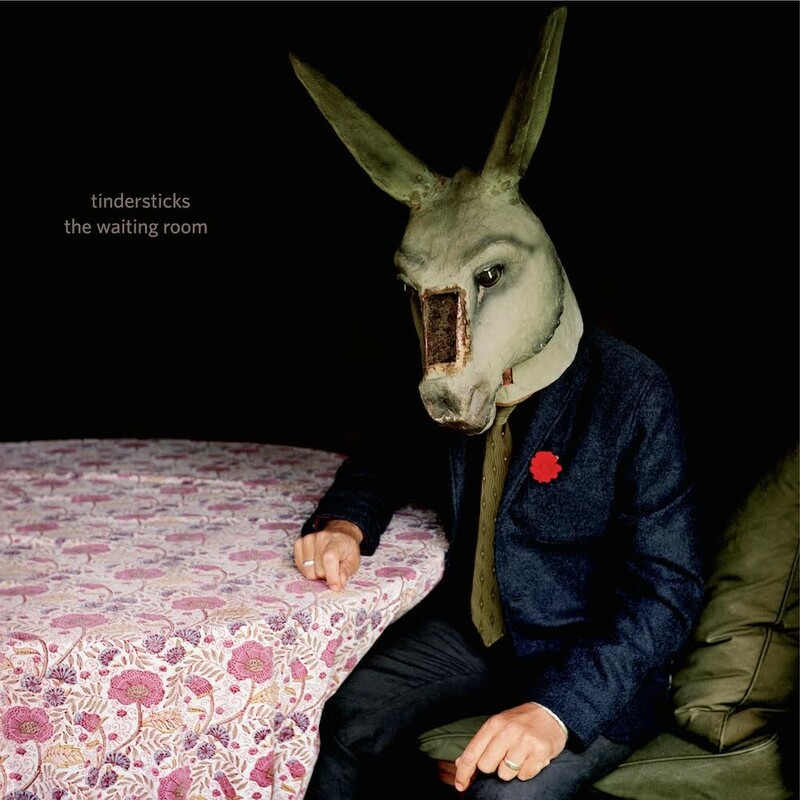 Like much of Tindersticks‘ best work, The Waiting Room is a delicious slow-burner of an album, one whose songs burrow inside your head almost without you realising. Warm and lush without ever becoming too comfortable, this is an album to be gently challenged by and to admire its immaculate production and almost classical arrangements. Where sometimes you feel with Tindersticks an injection of power would be of benefit, this is provided by Jehnny Beth whose day band, Savages, have also this month returned with an excellent new LP. Is there anyone in rock and roll as prodigiously talented yet as equally infuriating as Ty Segall? Even at the tender age of 28, he has already a daunting back catalogue; yet it is a collection of work that could have benefitted from greater discipline and quality control. The overriding impression is of an artist churning out new material at will; everything, for better or worse, sees the light of day. As such it is with an understandable air of caution that we approached Emotional Mugger. That said, it might just be the best thing that Ty has done for some time. Having recently re-released Ty Rex his collection of Marc Bolan covers, there does seem to be a sense of continuity as the album hints at an abrasive, distorted reworking of the glam rock mould. There is a lightness and experimental edge to the album; a playfulness and a sense of spontaneity. After the more considered Manipulator this is to be welcomed. It’s as fun for the listener trying to second guess what might happen next as it clearly was for Segall and his band when making. It seems that there is artistic merit in the throwaway after all. Whether it stands the test of time, well, only time can be judge of that. 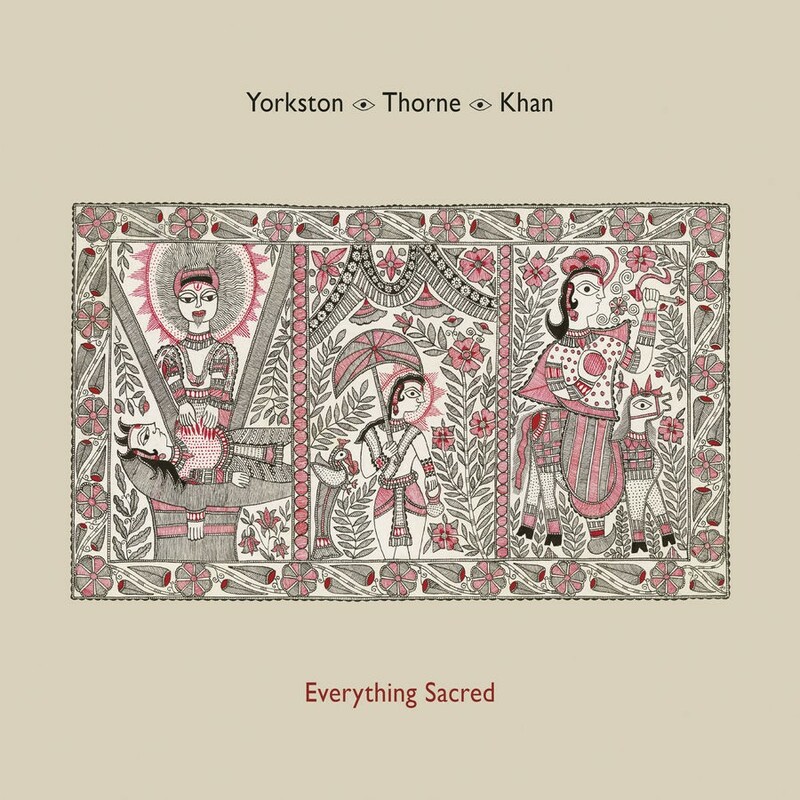 It is easy to think as Everything Sacred as a collaboration between Scottish folkie James Yorkston and Indian sarangi player Suhail Yusuf Khan. While this is true, it is Jon Thorne‘s jazz-inflected bass that is the glue that holds the whole thing together and makes it work. For it is difficult, in theory to understand how such an outlandish fusion of style and cultural heritage would be expected to work. But, oddly, it does work. There is a sense that the fusion has reinvigorated Yorkston and awoken in him an experimental edge. Much of this album feels improvised and the contrasting instrumentation and styles, in their discordancy, makes for an arresting listening experience. The album includes radical a reworking of Ivor Cuttler‘s Little Black Buzzer and Lal Waterson‘s Song for Thirza but is perhaps Broken Wave, Yorkston‘s paean to former bassist Doogie Paul that provides the album’s most affecting moment. Always one of our favourite labels, Sacred Bones have an enviable track record of bringing some of the more underground elements of Brooklyn’s alternative music scene to a wider audience and it is no exception with Pop. 1280. Paradise is a remarkably expansive record revealing the band’s progression from more conventional punk/industrial noise-rock beginnings to something altogether more dystopian. 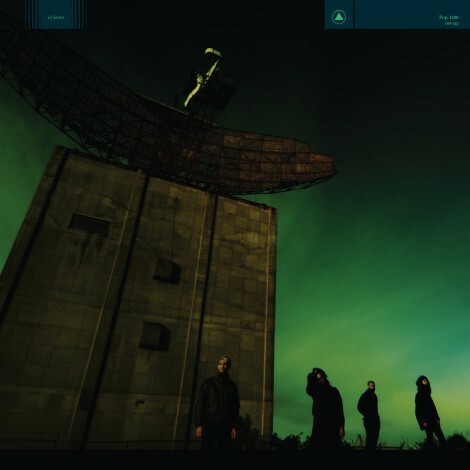 With heavy synths, crunching guitars and skewed electronics this is a seedy marriage of dancefloor industrial with a bleak post-modern vision of desolation. In its singular vision and compelling narrative it feels very much like a concept album. Owing a debt to the likes of Suicide and The Fall this album in its experimental tendencies and broad vision will appeal to fans of Cabaret Voltaire and Throbbing Gristle. 2016 marks the welcome return of Tortoise, Chicago’s much revered post-rock experimental-jazz quintet. What, if anything has changed then on their return? Well, what immediately hits you is the vocals. Renowned as a nearly exclusively instrumental band, The Catastrophist features guest vocals from Yo La Tengo‘s Georgia Hubley and, most bizarrely, Todd Rittman who takes the lead on a cover of David Essex‘s Rock On. Tortoise covering David Essex? Yes, you read that right. 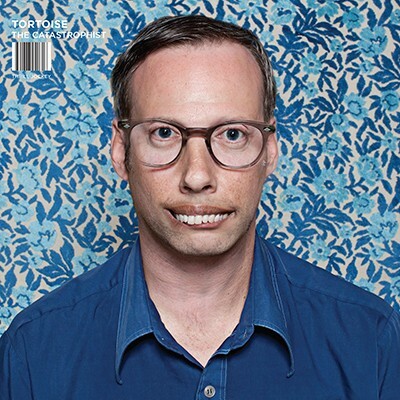 Tortoise do have a history of cover versions and this seems to look back towards their The Brave and the Bold collection of covers. The LP ticks a lot of expected Tortoise boxes yet also demonstrates that expansive and slightly dubby cinematic post-rock are not the band’s exclusive domain. Stark and brittle synth come to the fore, best demonstrated on side two opener Gesceap, which recalls some of Stereolab‘s Tim Gane recent work as Cavern of Anti-Matter. This is an admirable return proving it possible to experiment and meld a myriad of contrasting styles while presenting something that works as a cohesive whole. 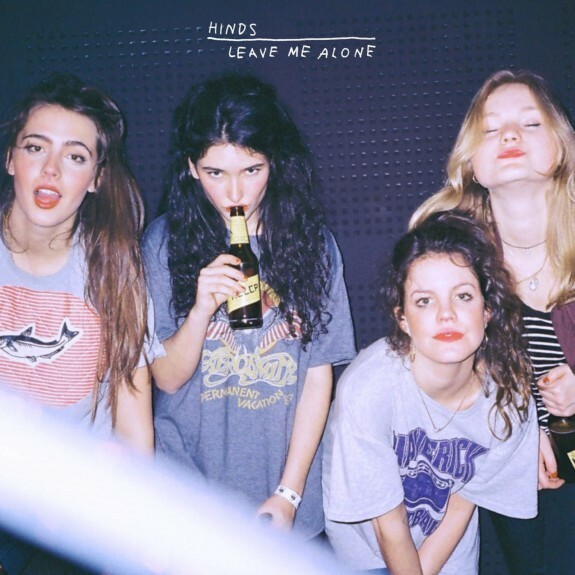 We first came across Hinds on our visit to SXSW in Austin last year and were instantly impressed so it was only right that we should take a listen to their start-of-the-year debut release, Leave Me Alone. Much like they do on stage, Hinds prove a headily infectious outfit on record. In fact, just on listening to the record, you can almost hear the sense of fun and frivolity that informs their youthfully exuberant take on the well-worn garage rock genre. Such has been the proliferation of guitar bands operating at the scuzzy, lo-fi end of the spectrum that Hinds can add something to this over-populated world speaks volumes about them as a band. Of course Leave Me Alone doesn’t reinvent the wheel. Far from it. But what it does is present a vibrant take on garage-pop delivered with a lightness of touch and often surreal moments of absurd lyrical invention. A fun pop record that will bring oodles of Spanish sun into these drab winter days. 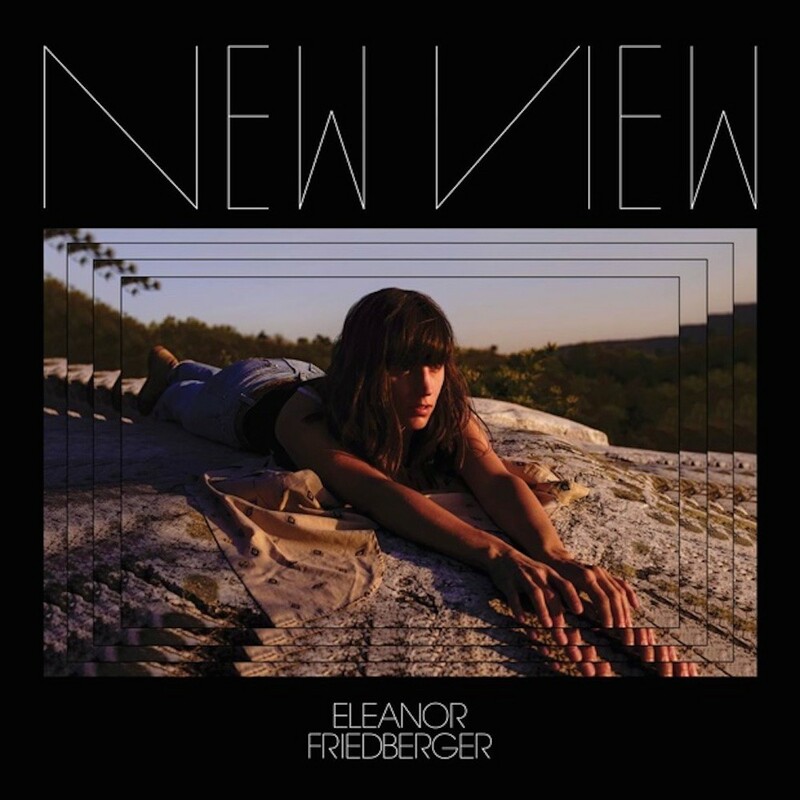 New View is Eleanor Friedberger’s third solo record following the seemingly indefinite hiatus of Fiery Furnaces, the band she formed with her brother Matthew. In many ways this release follows a path that will be familiar to fans of Last Summer and Personal Record; it eschews the radical and experimental tendencies of her former band and relies on the gentle and melodic. Like its predecessors it is, on face value, radio friendly fare evoking the staticky, analogue vibe of 1970s commercial pop. Yet like much of Friedberger‘s solo work first impressions can prove deceptive. There’s a subtle sadness that envelops much of the album, reflecting Friedberger‘s relocation from the bright lights of Brooklyn to the more sedate pace of upstate New York, as many of the songs reflect on the break-up of relationships and the subsequent feelings of loneliness. Therein is the album’s strength. It portrays intense personal experiences in a way that doesn’t wallow or overbear. It marries these with wry witticisms and playful indie hooks that turn songs about the fragility of the human experience into an accessibly gentle Sunday morning soundtrack. 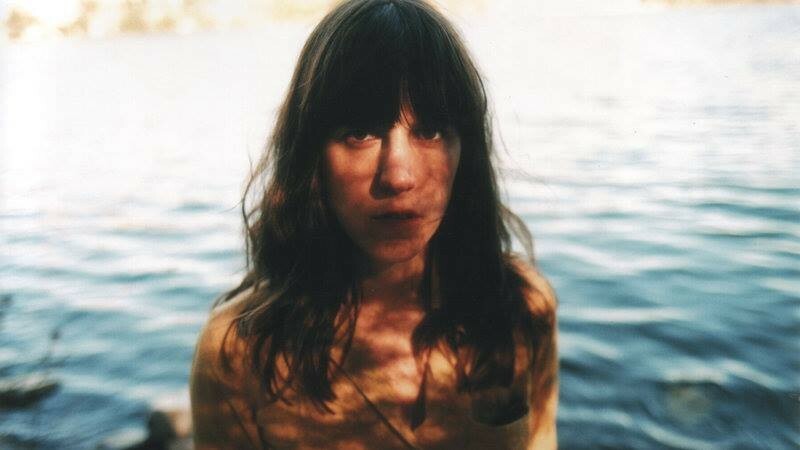 Eleanor Friedberger‘s third solo album is also, quite possibly, her best.